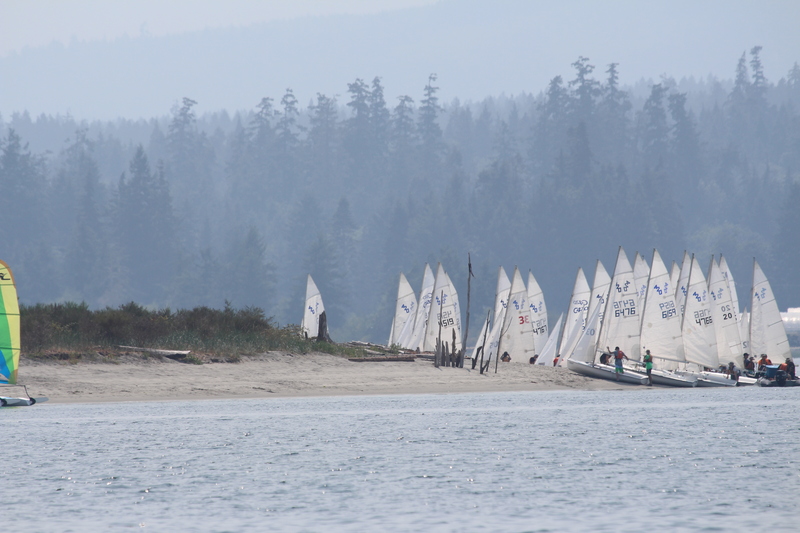 some more info about the Comox Valley…. HMS Quadra is running full tilt now, i used to work there for five years,at the cadet camp at Goose Spit, i loved it and made some very good friends there. Every morning now, we hear the band playing for the raising of the flag, and all the cadets march around the whole compound. 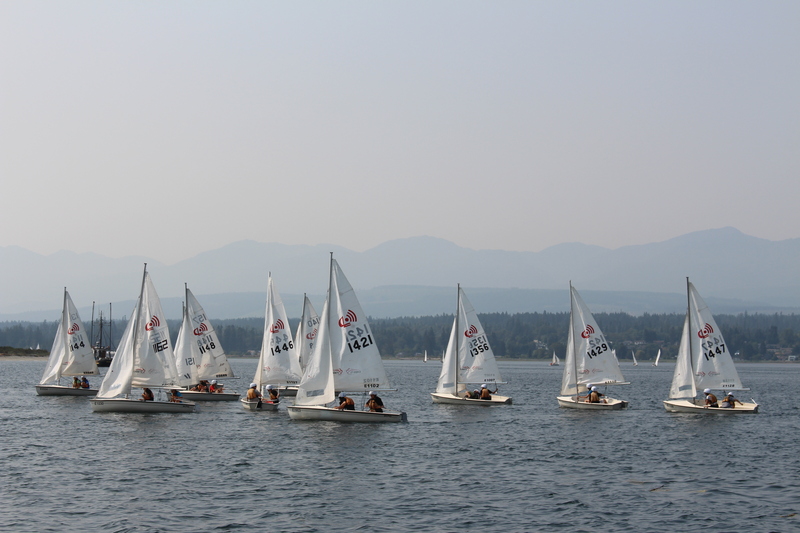 The cadets learn to sail too, among other things, and after 9 o’clock all the little sailboats come out into the bay. Together with all the little boats from the sailing club, its one very busy place!!! The dragon boats practice every Wednesday and Saturday, there are several boats but our favorite is the white one, with the short gentleman at the helm, he would steer the boat close by Curtsy ,so we could shout encouragement to the hard working paddlers. Their strength and rhythm is superb, a joy to watch. 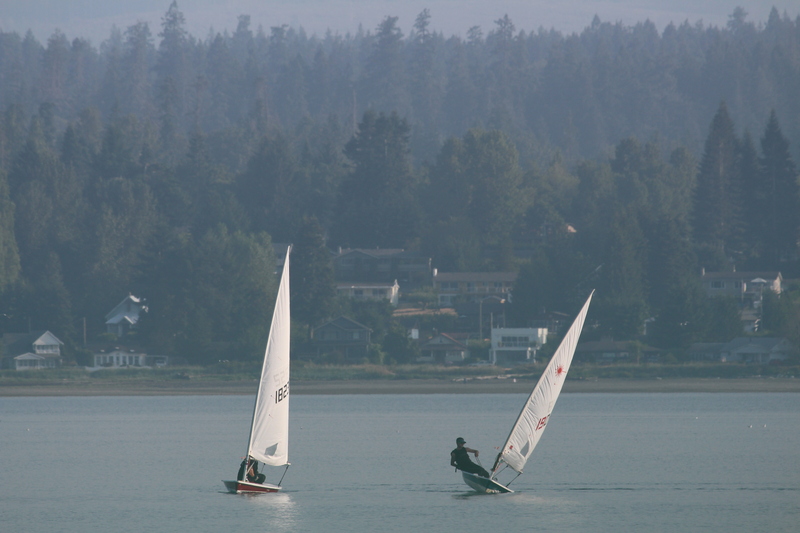 Sailing practice in Comox bay. Rest spot at the Spit.